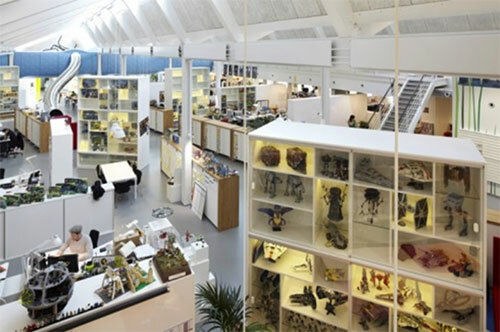 What does LEGO make you think of? 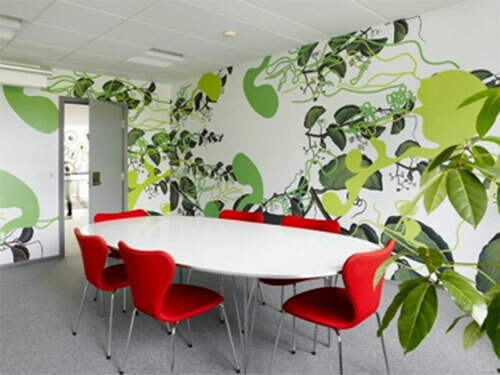 Bright colours, imagination, creativity and good fun! 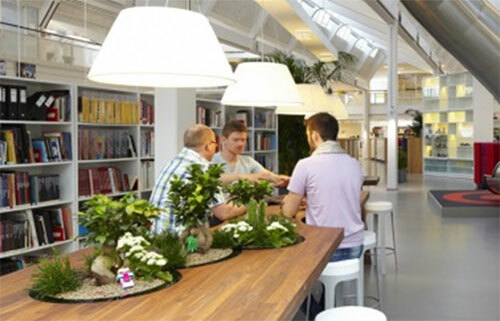 These are the themes and values that radiate from the LEGO offices in Billund, Denmark. 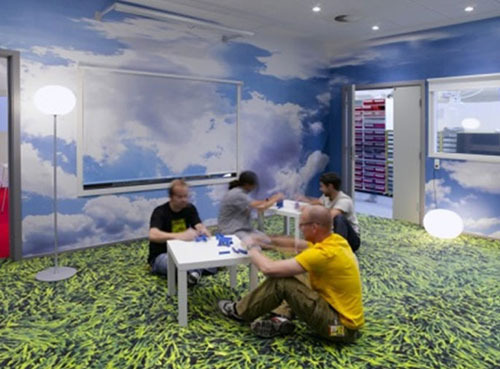 The company policy is to encourage staff to fuel their imaginations. 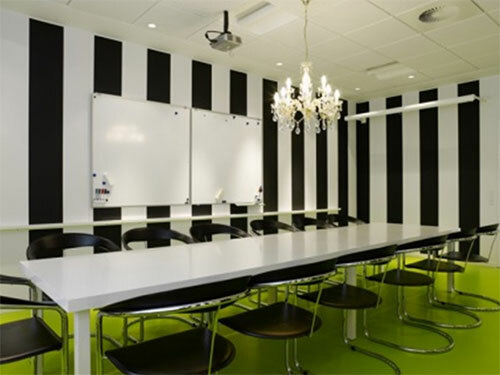 Large and small meeting rooms encourage gatherings of all sizes to meet together and areas are designed so that anyone within the office can play with Lego to construct something new. 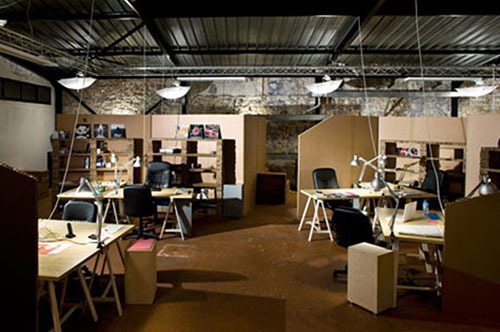 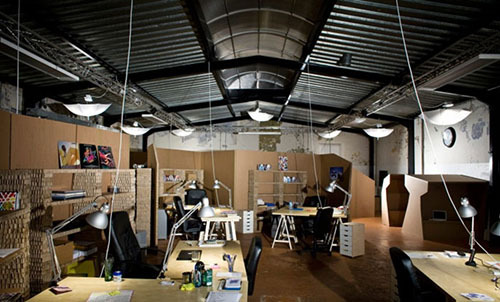 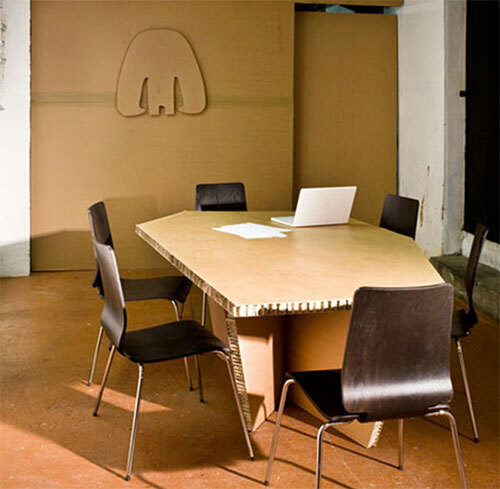 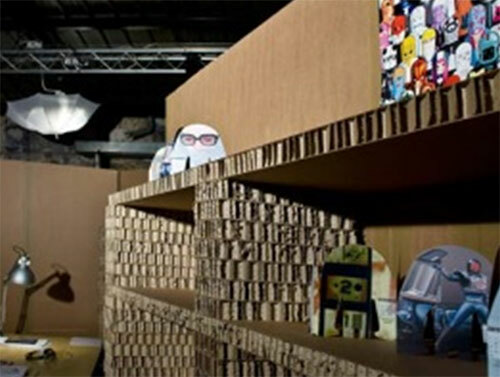 To turn a180m2industry room into an office for 20 people in just 5 weeks and with a minimal budget seems almost impossible, but not if you use cardboard. 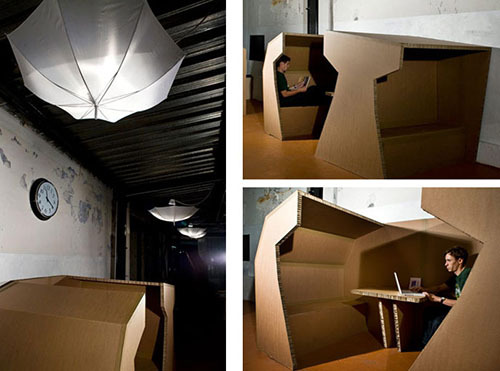 There are space dividers and bookshelves, a lighting system of white umbrellas placed over light bulbs and to help with acoustics and sound-proofing a small room has been constructed for up to six people to provide a quite spot similar looking to a phone booth. 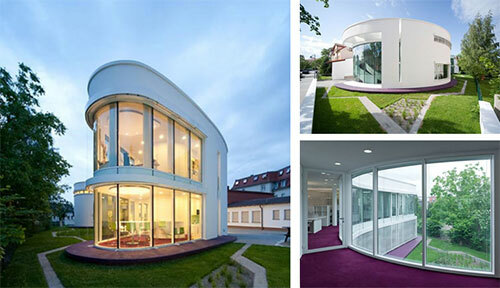 Specialising in the manufacture of high-end medical and hospital equipment, the SaegelingMedizintechnik office portrays the same innovation and technology as they use in their products. 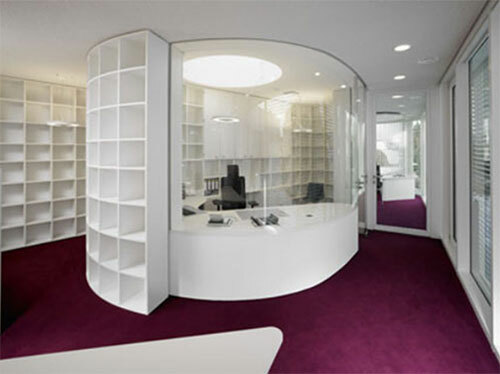 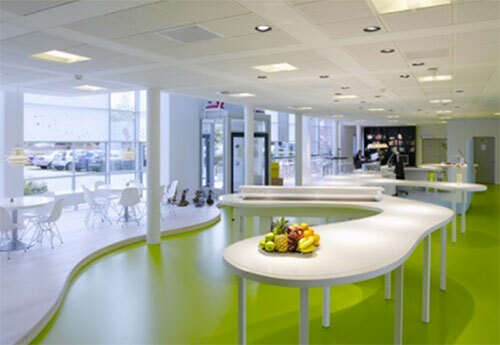 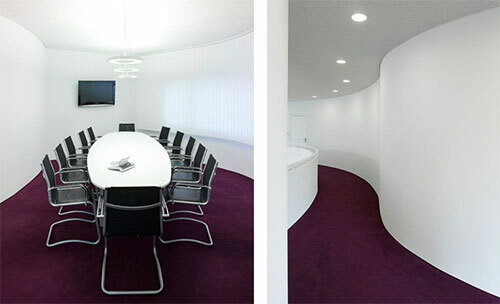 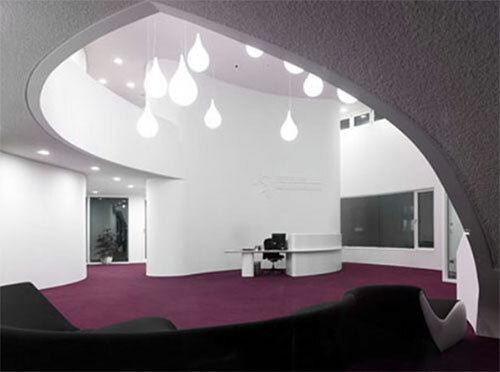 Curved walls and extensive white space harmonise to create a light and open atmosphere.